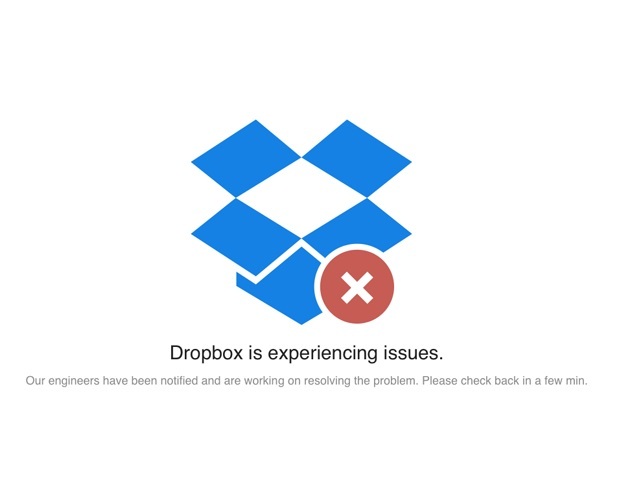 Dropbox website went offline last night with a hacking collecting calling itself The 1775 Sec claiming responsibility of the attack on the cloud storage company’s website. The 1775 Sec took to twitter just a few moments before Dropbox went down on Friday night claiming that they were responsible. “BREAKING NEWS: We have just compromised the @Dropbox Website http://www.dropbox.com #hacked #compromised” tweeted The 1775 Sec. This tweet was followed by a another one wherein the group claimed that it was giving Dropbox the time to fix their vulnerabilities and if they fail to do so, they should expect a Database leak. The group claimed that the hack was in honour of Aaron Swartz. Dropbox’s status page at the time acknowledged that there was a downtime and that they were ‘experiencing issues’. The hackers then revealed that their claims of a Database leak was a hoax. “Laughing our asses off: We DDoS attacked #DropBox. The site was down how exactly were we suppose to get the Database? Lulz” tweeted The 1775 Sec. The group claimed that they only launched a DDoS attack and didn’t breach Dropbox security and didn’t have access to Dropbox user data. Just over an hour ago, Dropbox said that its site was back up. “Dropbox site is back up! Claims of leaked user info are a hoax. The outage was caused during internal maintenance. Thanks for your patience!” read the tweet from Dropbox. Ravi is the editor of TechieNews. He is a technology enthusiast with keen interest in information security. Ravi has over 6 years of experience and has been actively involved in editorial groups of many US and UK based news portals.